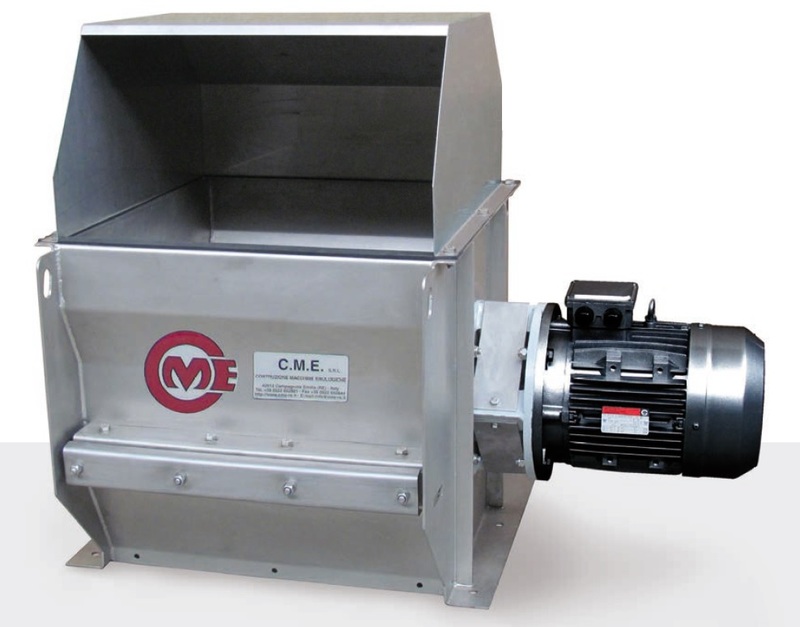 The machine is build in AISI 304 stainless steel with the exclusion of the rotating parts, transmission and motor. The stalks fall through a system having fixed and rotating knives. In this manner we obtain a 80% reduction of stalks volume.